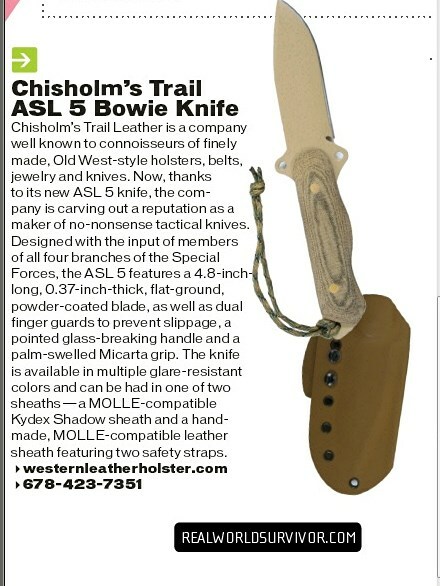 We are delighted that SURVIVORS EDGE MAGAZINE has decided to add CHISHOLM’S TRAIL ASL (Air, Sea, & Land) Tactical / Survival / Bushcraft knives to their list of new products that will help you survive in the newest issue. 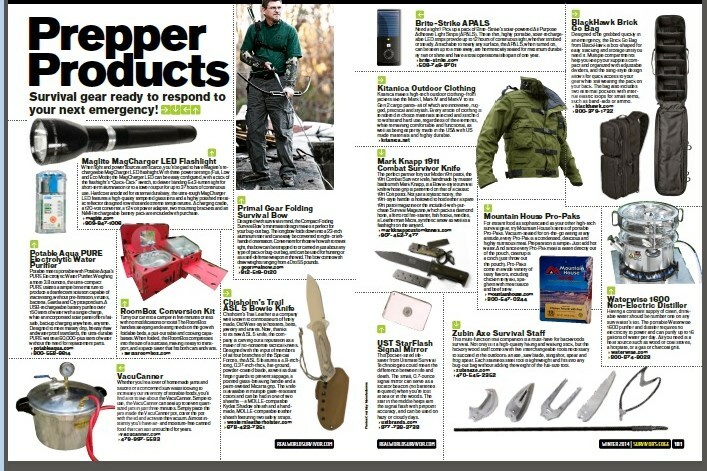 We buy every issue and if you are a dedicated Survivalist, a Tactical or First Response professional, Millitary Serviceman, or Law Enforcement specialist we recommend you get a subcription The Survivor’s Edge Magazine | Magazine-Agent.com. This is a Harris publication, the same company that produces the high quality authentic “Guns of the Old West” magazine. Currently we have in stock the ASL – 5 with a 4 7/8″ blade and the ASL- 6 with a 6″ blade. Standard colors are Desert Hummer Tan or Stealth Black- your choice. Call now for immediate delivery. For a larger view just click on the photo.